I wish a had a macro like yours to create such beautiful pictures! lovely delicate shades... well captured! 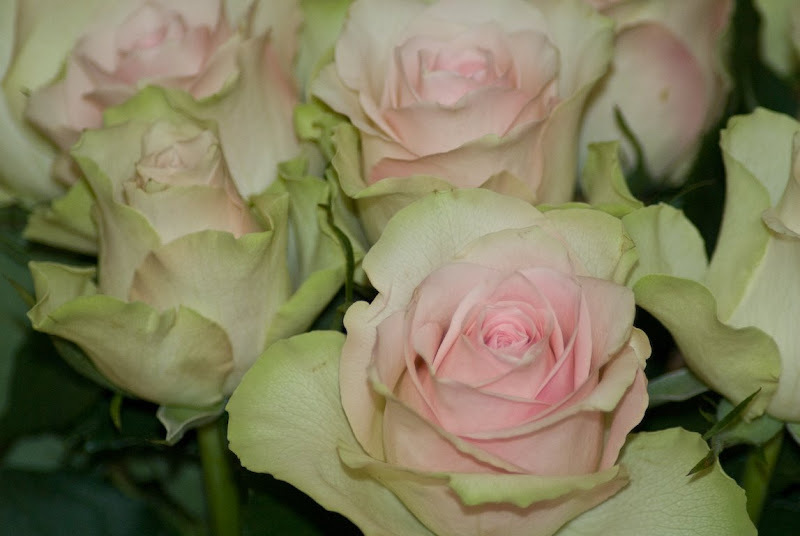 So delicate these pink roses fading into pale green! Great colors and soft textile touch. I love roses and this photo is awesome, I really loved it.